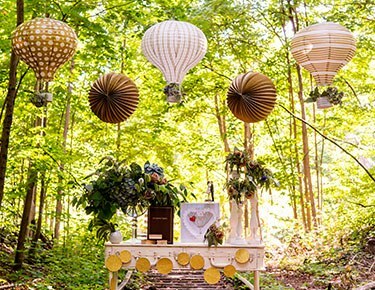 Deciding on a party theme requires contemplation, and an ample amount of inspirational ideas. 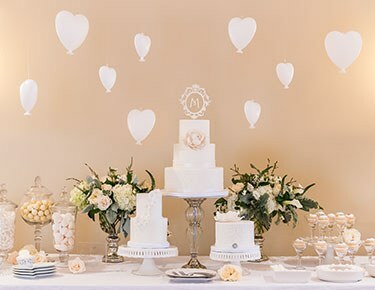 Browse this section to discover popular party themes and theme decoration ideas for your next shower or party celebration.Classic and Romantic ThemesClassic party decor is traditional and timeless in appearance and presentation. Elegant and quaint are some of the words used to describe this theme. 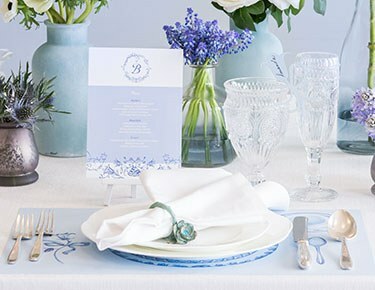 Vintage decor can also fall under the banner of classic. 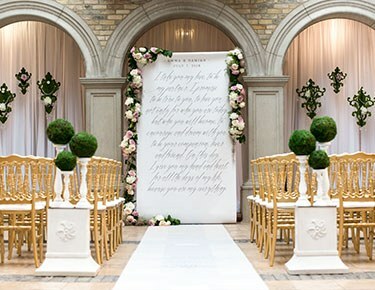 Personalized fonts have vintage and time-honored pedigrees, and accessory design harkens back to an age of elegant formality.Romantic party themes capture the enduring spirit of love and commitment. 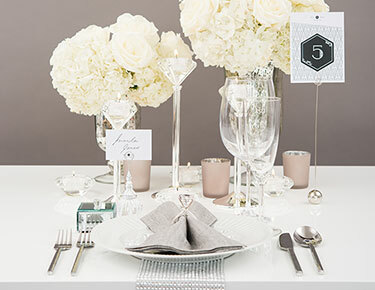 Party accessories for this theme typically blend simple elegance with traditional design, but they can also be lighthearted and whimsical. 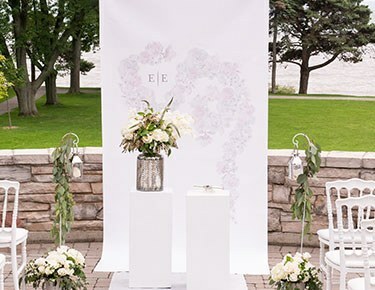 Flowers, plants and hearts are associated with romance, and accessories either feature this imagery or blend beautifully with floral and heart backdrops.Earthy and Outdoor ThemesEarthy themes call for accessories that blend well with rural, country and rustic backgrounds. 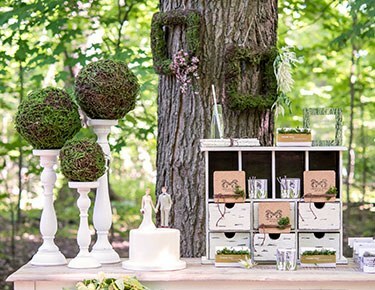 When bringing earthy themes to life, ideally, you want to tap into the concept of simple living. 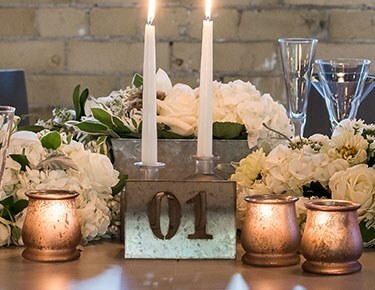 Often, it's the little details that make these themes work so well for parties. 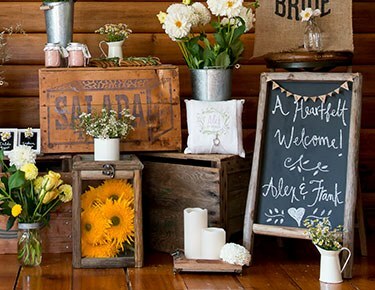 Think Mason jars, vintage style metal buckets and pitchers, box containers and signs made of wood. 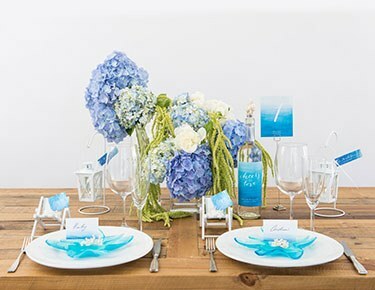 Garden themes feature flowers, butterflies, green vegetation, birds, rocks and watering cans.Beach and nautical party accessories help you create the essence of breezy days spent relaxing on sandy shores or sailing amidst blue waters. If traveling is your theme, check out our Travel and Adventure section for adventurous accessory ideas. 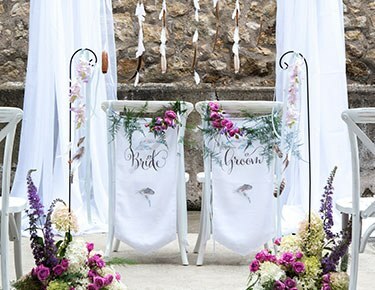 Seeking accessories for those with a bohemian vibe? 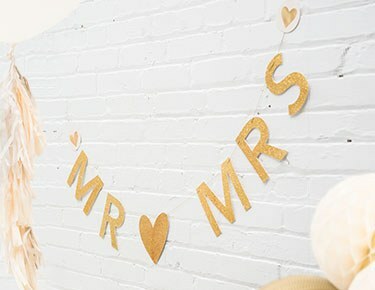 Find inspiring accessories for laid-back celebrations.Glamorous and Fairytale ThemesGlamorous party themes require party supplies that reflect living the good life with panache and plenty of glam style. In our Glamour section, discover gorgeous items such as champagne glasses, candle holders and ornate decorative items accented in colors of gold or silver. 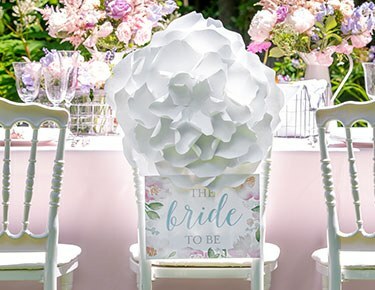 Also, find items decorated with dazzling crystals, faux diamonds or faux pearls.If you're determined to prove to party guests that fairytales do come true, the Fairytales section offers delightful party accessories that help you achieve your goal.